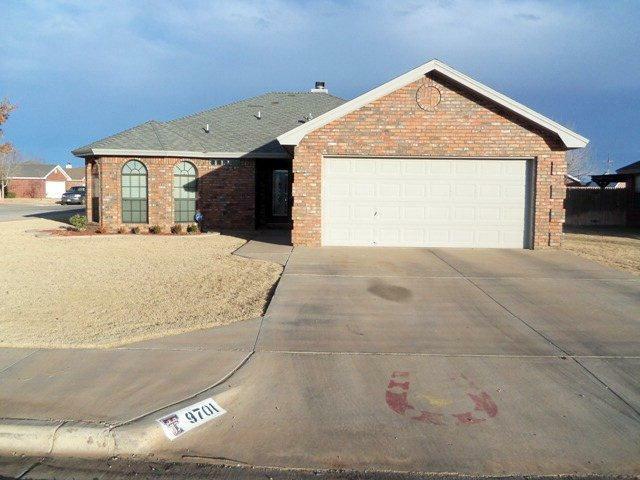 Great Home in South Lubbock! Huge Corner Lot and the flooring and paint have been recently updated. Huge living area with cozy fireplace, open concept kitchen and dining rooms, isolated master with vaulted ceiling, isolated master suite with separate shower and air flow tub in bathroom! Large backyard with spacious patio, and sprinkler system! Call now!